Energy consumption could be cut by more than 60% – saving the average household over £600 a year – if homes were designed to generate, store and release their own solar energy, a report published today has revealed. The concept has already been proven and is operating successfully on a building in Swansea: the UK’s first energy-positive classroom. It combines an integrated solar roof and battery storage with solar heat collection on south-facing walls. Over 6 months of operation the Active Classroom has generated more energy than it has consumed. Today’s report looks at applying this concept to homes, and analyses the economic and energy impacts that such homes could have in the UK. The report is based on designs for the Active Homes Neath social housing development, which was granted planning permission today / is currently in planning. This is the first major housing development to use the ‘buildings as power stations’ approach to technology integration and specification, developed by Swansea University’s SPECIFIC Innovation & Knowledge Centre, which designed and built the classroom. 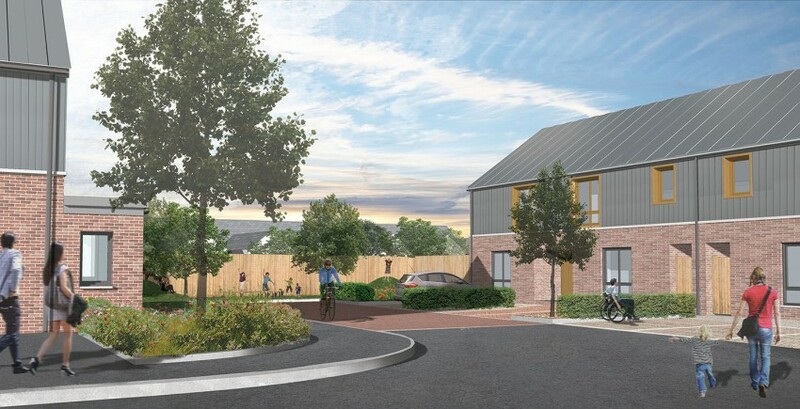 The new development by Pobl Group, the largest housing association in Wales, features solar roofs, shared battery storage and the potential for electric vehicle charging. Water heating comes from a solar heat collector on south facing walls. Waste heat is captured and recycled within the building. The combined technologies will help to keep bills down. The report shows that homes with these technologies could see household energy bills reduced by 60%. Reducing peak generating capacity by 3 gigawatts, equivalent to a large central power station. Reducing carbon dioxide emissions by nearly 80 million tonnes over 40 years. The author of the report is independent energy consultant Andris Bankovskis, who also serves as a member of the Panel of Technical Experts, an independent advisory group who are appointed by the government to advise on technical aspects of electricity market reform. “The scale of the potential impacts is compelling, and demands that we make considered decisions about how we meet housing needs sustainably. It suggests that if we are prepared to take some bold decisions about the way energy is supplied and used in our homes, the rewards could be significant and lasting. The report is timely as it comes only weeks after the government announced measures to make it easier to store power in batteries, and pledged to phase out new petrol and diesel engines in cars in favour of greener options by 2040. 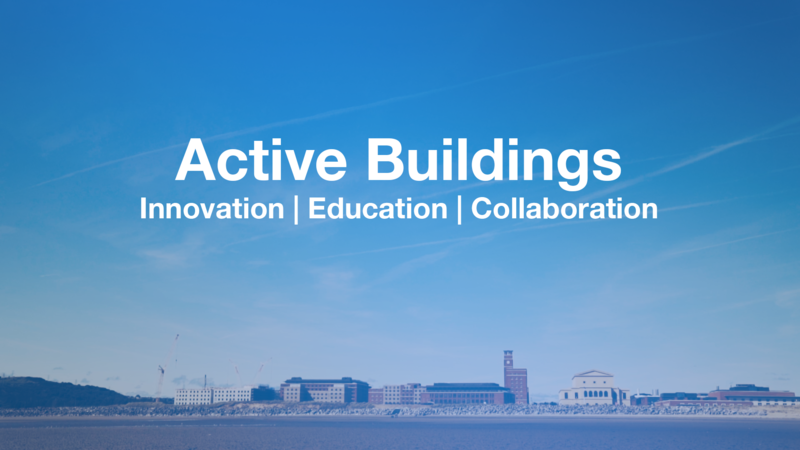 It follows a series of successful demonstration projects to test and develop the concept, most recently in the award-winning Active Classroom opened at Swansea University’s Bay Campus last autumn. “Today’s report shows that households and the country as a whole can benefit if we design our homes to be power stations. The technology works, so what we need now is to build on our partnerships with industry and government and make it happen. “It is great to see the Active Homes Neath project leading the way. We are thrilled that Pobl and Neath Port Talbot Council are taking this forward-thinking approach to housing. It is thanks to them and the shared vision of SPECIFIC’s 40 other partners from academia and industry, as well as our funders EPSRC, Innovate UK, and the European Regional Development Fund through the Welsh Government, that we are able to make such progress. It is truly the collaborative cross-sector effort. The 16 new homes are being developed in partnership with Neath Port Talbot County Borough Council. It is a flagship scheme within the Homes as Power Stations project in the Swansea Bay City Deal, a £1.3 billion investment into the region signed by Prime Minister Theresa May in March. Residents are scheduled to move in in Spring 2019. “SPECIFIC IKC has been a great success story and a key collaboration between Innovate UK, EPSRC, Welsh Government and Swansea University. Over the period of our funding SPECIFIC has demonstrated their Buildings as Power Stations technology in a number of situations culminating recently in the award-winning classroom at Swansea University’s new Bay Campus. The technology can be retrofitted or incorporated into new build.